The second trial of four practitioners of Falun Gong, a traditional Chinese spiritual practice, detained after a widely publicized incident of protest nine months ago, opened secretly on Jan. 8—but neither defense lawyers nor their family members were informed. One of the lawyers, Wang Yu, said she found out about the trial through the Jiansanjiang Court’s website two days before the trial opened—and that’s how she notified the other attorneys (eight in total) and the family members. The law, however, requires that all parties are notified directly by the authorities. And if Wang hadn’t happened to check the website on that date, she wouldn’t have found out until afterward. 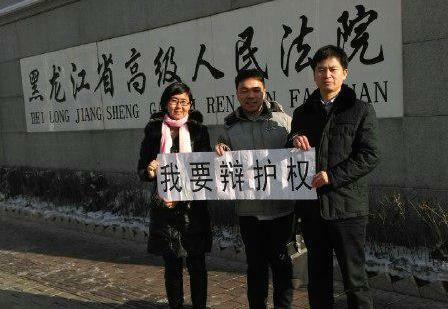 Wang and another lawyer, Zhang Weiyu, also held banners in protest of the secret trial. The entire Jiansanjiang Incident, as it became known in legal circles in China, began in March of last year when four lawyers were detained and illegally tortured after traveling to the Jiansanjiang police station in remote northeast China. They were protesting the detention and abuse of three Falun Gong practitioners in custody there. The lawyers suffered a total of 24 broken ribs among them, as a result of police brutality. The court simply didn’t notify lawyers, nor the families. It ran a secret trial illegally. The incident attracted significant domestic and international attention last year, with a stream of well-known human rights lawyers traveling from around China to the police station and detention center in Jiansanjiang, a remote area in Heilongjiang Province, which abuts Siberia, seeking to defend both the rights of Falun Gong practitioners and also the rights of the lawyers who defend them. Falun Gong is a spiritual practice based on meditative exercises and moral precepts. It gained enormous popularity in China, claiming between 70 and 100 million adherents in the late 1990s, before a sudden and sweeping political persecution was launched to eradicate it. Adherents of the discipline continue to practice it, and work to counter state propaganda vilifying their beliefs, as well as violent persecution. 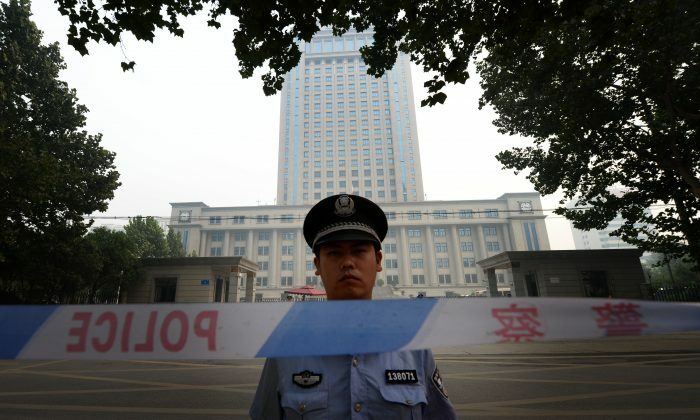 A secret trial opened in China recently, aimed at two women who exposed the persecution of their family members.